“The kingdom of God has drawn near” is the basic message of Jesus (Mark 1:14,15). His parables offer a vision that assures us that the kingdom of God is a wondrous and wild reality. The kingdom of God cannot be hidden or silenced; it cannot be hindered or manipulated. The kingdom of God will fill the earth. The literal structure of the parable is clear. No one brings a lamp into a room only to hide its light. We bring light into a room to illuminate it. The surface level of the parable is easy enough but the difficulty comes in the rationale. The light refers to something that is presently “hid” or “secret,” but intended to come to light or revealed. What is presently hidden? What is to be revealed? It may refer to the meaning of the parables themselves–hidden to some but known to others (4:34-35). Or, it may refer to the hiddenness of the kingdom of God in the person and ministry of Jesus which is yet to be fully revealed. The light of the kingdom of God is breaking into the world. It is obscured by opposition and by the inability of some to hear, but the light will ultimately shine brightly. Spiritual discernment sees the presence of the kingdom of God; it heas the message and sees the light, and the kingdom of God illuminates that corner of the world. Eventually, what is now hidden will fill the room; it will fill the cosmos. The kingdom of God will dispel the darkness and light up the world. Jesus cautions his disciples to focus their hearing which is a renewed call to spiritual discernment. This is couched in the language of “measure”–something is measured for distribution. It appears to say something like, the more you listen, the more you will understand. If the disciples pursue the message of the kingdom and embrace it, more will be given to them. The deeper the disciples grow into the life of the kingdom, the more they will receive. However, those who do not seek the kingdom, who fail to understand the message, and oppose the message of the kingdom, whatever they have will be taken from them. Disciples must lean into the kingdom and bend their ear to hear. Only then will the kingdom of God take root in their lives and bear fruit. Jesus returns to the metaphor of sowing the seed of the kingdom. The emphasis here, however, is neither on the act of sowing nor on the hearing of the message. Rather, the emphasis is on the growth of the kingdom. The sower sows and the harvest comes, but the sower does not know how it happens. The dynamics of kingdom growth are not quantifiable. The kingdom cannot be manipulated or managed. Rather, the power of growth resides in the seed itself and the power of God’s own creative work. God gives the increase to the kingdom of God. And the harvest will come. Disciples sow the seed. God grows the crop. The harvest is assured. Sometimes parables are too familiar. We assume an inherited meaning–one handed down to us by tradition. An inherited meaning is not necessarily a bad one but it may not be a full one either. This is the case with the mustard seed. A traditional reading equates parable with kingdom growth. The kingdom may start small, like a mustard seed, but it will grow to six to ten feet tall. This small seed produces a large plant (about 20,000 black mustard seeds weigh an ounce). Small beginnings, like a discipling ministrybeginning with twelve apostles, will bear fruit in tremendous growth. This is certainlyone aspect of this parable. A small seed produces a large bush. The kingdom of God has small beginnings but it will grow large. But there is more to this parable. 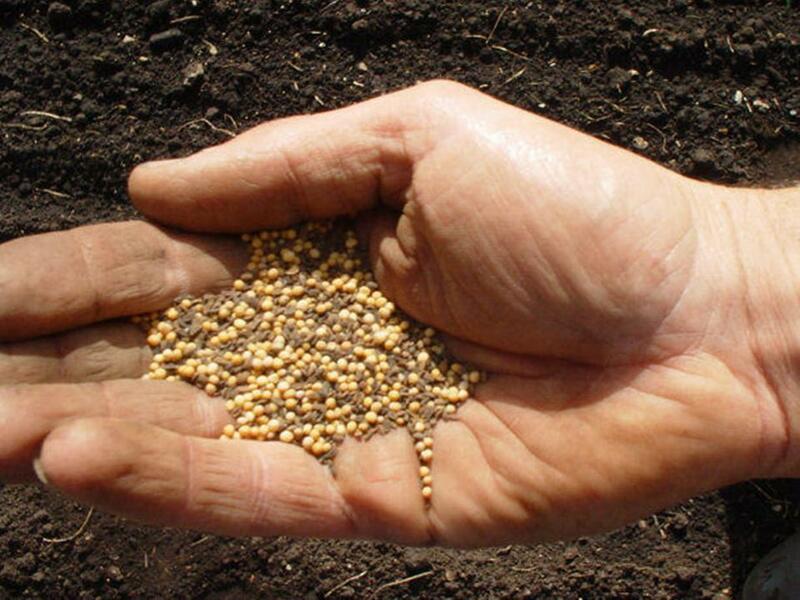 The Misnah, a second century CE document, forbids planting mustard seeds in Palestinian gardens (though they are cultivated in other places). The reason is that this large shrub takes over wherever it is planted. It grows wild, gets out of control, and attracts unwanted birds who disturb the gardens. (See Crossan, Jesus–A Revolutionary Biography, 64-66). The kingdom of God is not compared to a majestic cedar, but to a wild bush which is difficult to rid from cultivated areas. We might compare it to something like kudzu which takes over wherever it is planted. So what might be the point here? The kingdom of God cannot be domesticated, controlled or contained. It will grow from something small to something large, but more than that its growth overwhelms whatever else is there. Principalities and powers will not be able to curtail the growth of the kingdom of God. It will grow even where it is not wanted. Mark concludes the parabolic teaching of Jesus with some perspective. Parables hide as well as reveal. They hide the truth from those who are not ready to hear but they reveal the truth of the kingdom to those who seek it. Jesus’ parables confront our hearts with the reality of the kingdom of God, but if we are not seeking the kingdom they are nothing other than cute amd curious stories. However, the disciples at this point in the narrative did not have the capacity to hear well. Jesus called the Twelve to be with him, learn from him, and practice the kingdom of God with him. They are Jesus’ apprentices and they are learning the “trade;” they are learning to hear so Jesus explains the parables to them though their understanding is meager. This is part of the story of Mark’s Gospel–the disciples, dull in understanding, grow in their knowledge and experience of the kingdom of God. And we are learning right along with them. The kingdom of God begins small but ends huge; it is hidden but then revealed. It overwhelms the world and cannot be contained by its opponnets. Disciples locate themselves within the ministry of the kingdom of God, and we are assured that though opposition rises God will yet reign and the harvest will ultimately be fully realized. Disciples keep on sowing and God keeps on working. This entry was posted on November 7, 2011 at 8:27 am	and is filed under Biblical Texts. Tagged: Bible-Mark, Gospel of Mark, Mark 4:21-34, Mustard Seed, Parables. You can follow any responses to this entry through the RSS 2.0 feed. You can leave a response, or trackback from your own site.